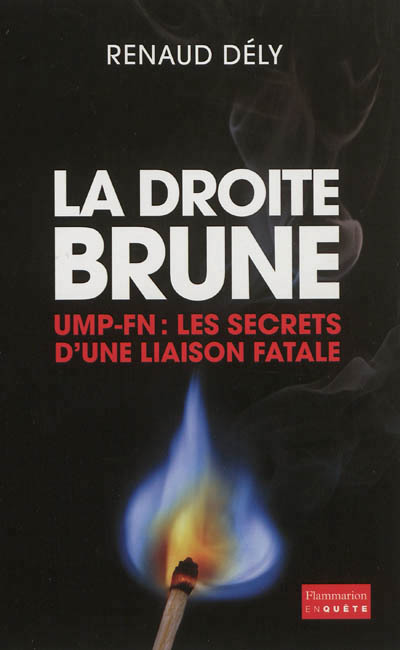 Je viens de lire cet excellent livre sur l’évolution de la droite parlementaire—précisément, l’UMP—ces dix dernières années, c’est-à-dire, sous l’ère Sarkozy (Sarko étant devenu le chef de file de l’UMP pendant le deuxième mandat de Chirac). L’auteur Renaud Dély, Directeur de la rédaction du Nouvel Observateur—et l’un des meilleurs journalistes de la politique française—, livre un réquisitoire dévastateur contre le sarkozysme et son projet—largement réussi—de “décomplexer” la droite en la rapprochant idéologiquement et politiquement du Front national. Dély, l’auteur de l’une des meilleures enquêtes sur le FN, sait de quoi il parle. Il consacre un chapitre entier sur Patrick Buisson, le Raspoutine maléfique et ultradroitier de Sarkozy (et de Jean-François Copé aujourd-hui), et sur le FN sous Marine Le Pen. Un livre à lire absolument. Députés de la diversité, i.e. deputies of non-European immigrant origin. I wrote on Sunday night that the first Maghrebi/Muslim deputy since 1962 (Algeria’s independence) had just been elected to the National Assembly. In classroom lectures over the years on immigration and Islam in France, I have rhetorically asked my students how many of the 577 deputies in the National Assembly are Muslims—who account for some 7% of the population (and of which Maghrebis are some four-fifths)—, to which I then give the answer: zero. As it happens, there is now not just one but as many as six, and all from the PS. I cited Malek Boutih, the former head of SOS Racisme, born in France to Algerian parents, who was elected from the Sainte-Geneviève-des-Bois constituency in the Essonne (in the southern banlieues of Paris, previously represented by his erstwhile SOS Racisme mentor, Julian Dray). Boutih has had an increasingly high “diversity” profile in the PS over the past decade and this wasn’t his first attempt at elective office. The other newly elected diversity deputies are Razzy Hammadi, a former head of the PS youth wing (MJS), of Algerian and Tunisian origin, and who defeated the longtime Communist deputy Jean-Pierre Brard in Montreuil (in the neuf-trois); Kheira Bouziane, born in Algeria before independence, who was elected in one of the Dijon constituencies; Chaynesse Khirouni, born in post-independence Algeria and who arrived in France at age 20, elected in Nancy; Kader Arif, born in Algeria, a fils de harki, elected in the Haute-Garonne (though as he is in the government—as minister délégué of war veterans—, he will be ceding his seat to his suppléant); and Seybah Dagoma, born to immigrant parents from Chad and elected in Paris (3e-10e arr.). 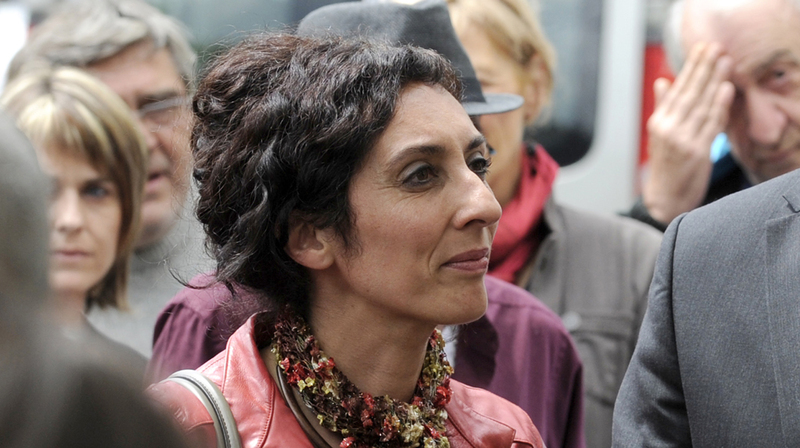 To these one may add Pouria Amirshahi, born in Iran in the 1970s and whose parents fled the Shah’s regime, elected in the overseas constituency for North and West Africa; and Eduardo Rihan Cypel, born and raised in Brazil to age ten, elected in the Torcy constituency of the Seine-et-Marne. Some news articles have added George Pau-Lengevin (reelected in Paris 20e arr. and currently in the government), Hélène Geoffroy (elected in Vaulx-en-Velin), and Corinne Narassigiun (elected in the overseas USA-Canada constituency) as diversity deputies, but they all hail from overseas departments (Guadeloupe for the first two, Reunion the latter), so as native-born French citizens they don’t count. A couple of remarks. These newly elected deputies were elected in single-member constituencies, not on a list in a proportional representation system (which is the norm in Europe, and that makes minority representation in legislative assemblies much easier to assure). Though they were slated by the PS and which financed their campaigns, they had to wage them on their own. Also, with the exception of Hammadi’s in Montreuil, none of these constituencies have large concentrations of immigrant communities from the Maghreb or sub-Saharan Africa. The kind of gerrymandering that happens in the US—to create majority Black or Latino constituencies—is not only legally impossible and politically inconceivable in France but would be difficult to pull off, as areas with concentrations of “diversity” populations contain large numbers of non-citizens, who would thus not be able to vote. On the above Muslim deputies, I have no idea if any actually practice the religion (I would rather doubt it for most). As it is a near taboo in France for a politician to publicly discuss his or her religious faith (if s/he has one), one is not likely to find out. As for them being identity Muslims—of saying they are Muslim if the question is put to them—I am simply assuming this. So unless and until any of the Maghreb-origin deputies publicly declare themselves not to be Muslim, I will declare that they are. It was a grand slam for the Socialist party. A smashing victory for François Hollande and Jean-Marc Ayrault (and for PS première secrétaire Martine Aubry too). The PS won an absolute majority on its own, for the time since the vague rose of 1981. And it was a particularly severe defeat for the UMP. 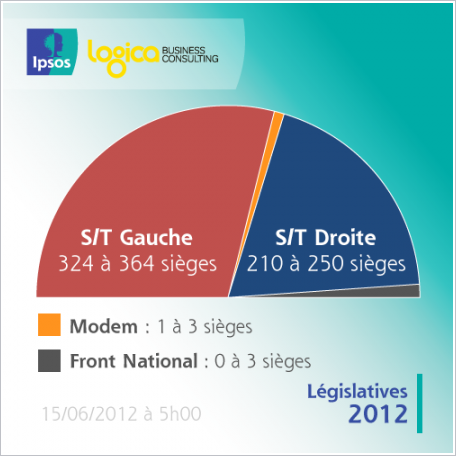 The écolos will have enough deputies to form a parliamentary group but the Front de Gauche will not. Nor will the Nouveau Centre. And the MoDem will have all of two deputies, meaning that the independent center is all but gone. Valérie Trierweiler’s tweet had no effect whatever. I heard no mention of it at all this evening. Every minister in the government won, some by margins wider than in their wildest pre-election dreams. Philippe Kemel squeaked by Marine Le Pen in Hénin-Beaumont 50.1-49.9%. Marine LP was thisclose to doing something only two FN candidates in history have ever done in a legislative election, which is to win a head-to-head race (and not in a triangulaire). Two FN candidates were elected: frontiste Johnny-come-lately Gilbert Collard in the Gard and university undergraduate Marion Maréchal-Le Pen in Carpentras, to which one may add Jacques Bompard—ex-frontiste but more facho than these two—in Orange. The Republic will survive this modest return of the extreme right in the Palais Bourbon. Claude Guéant was repudiated in Boulogne-Billancourt (yay!) and Nadine Morano lost in the Meurthe-et-Moselle. Both were high-profile symbols of Sarkozy’s droitisation strategy. Eric Raoult was also beaten in Le Raincy–Montfermeil and Michèle Alliot-Marie in Biarritz–Saint-Jean-de-Luz. But Nathalie Kosciusko-Morizet, one of Marine Le Pen’s candidats à abattre, narrowly won reelection in Longjumeau. I’m glad. I am also very glad that Jack Lang fell flat on his face in Saint-Dié-des-Vosges. Patrick Devedjian in Antony and Xavier Bertrand in Saint-Quentin both won by a hair. 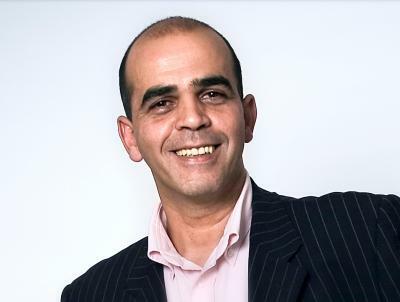 Malek Boutih of ex-SOS Racisme fame was elected in the Essonne (Sainte-Geneviève-des-Bois). For the first time since 1962 the National Assembly will have a deputy of Maghrebi origin and Muslim identity (Kader Arif was also elected in the Haute-Garonne but, as a member of the government, he will be ceding his seat to his suppléant). This heavily symbolic—and way overdue—event has been mentioned nowhere and by no one so far as I have seen. I’ll come back to it later. François Bayrou lost in Pau, which was expected. This is too bad. Socialists are not rejoicing. Hopefully Hollande will do something concrete to belatedly recognize Bayrou’s endorsement in the 2nd round of the presidential election. As for Ségolène Royal in La Rochelle, she of course lost to Olivier Falorni and badly: 63-37. This is worse than a loss. It is a terrible humiliation for her. But to suffer a repudiation on this scale confirms that her parachutage was one huge mistake. She totally blew it. She cannot blame the fiasco on the “treason” of Falorni or UMP voters. She needs to look in the mirror and do some soul searching. Her concession speech, delivered before 8 PM, was bitter and angry. She was not graceful in defeat. Whatever sympathy I may have had for her was lost. The Rue de Solférino—and with Martine Aubry leading the charge—is also reacting badly and with vindictive words for Falorni. They need to get over it. And they no doubt will. 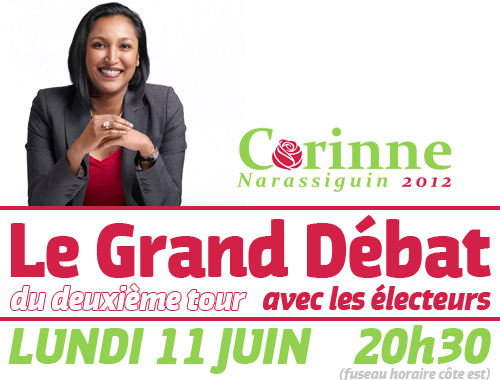 Before I forget, there was this result: PS-EELV candidate Corinne Narassiguin beat the UMP’s former attack dog Frédéric Lefebvre in the USA-Canada circonscription. C’est très bien ! Oh yes, the abstention rate was high, around 44%. So now election season is over (ouf!) and it’s time for Hollande to tell us what he really plans to do about the economy, euro, etc, etc. No excuses now, as the Socialists have it all. Hopefully they will make good use of their majority and also enjoy it while it lasts, ’cause they’re not likely to repeat the exploit in five years time. National elections are happening in three countries tomorrow: Greece, Egypt, and France. The last one is the least significant. The results in Greece and Egypt will be of momentous importance, not only for those countries but for their regions and the world. In France, the outcome of the second round of the legislative elections is not likely to even be noticed beyond the borders of the Hexagon, let alone have an impact. But it is still interesting for those of us who live in France or have an interest in the country. At this point the outcome is a near foregone conclusion, which is that the left will have a majority (see final poll above). 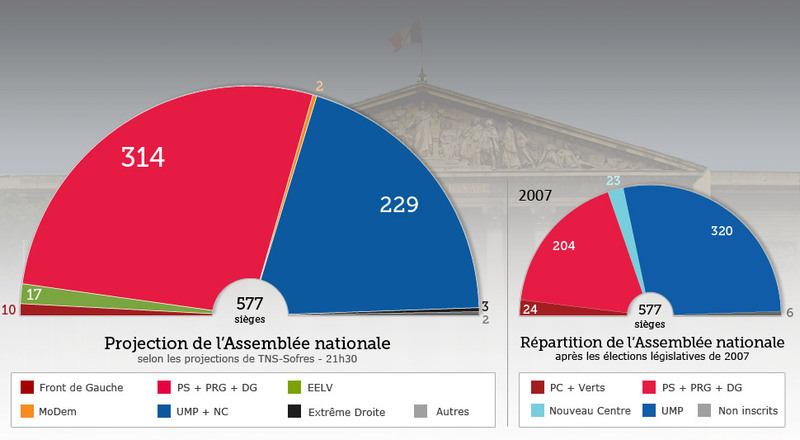 The question is what majority, if the PS will have it on its own (most probable), with the écolos (possible), or will depend on the Front de Gauche (improbable). It should be noted that the four previous legislative elections that followed the presidential had unanticipated outcomes: in 2007, in the wake of Sarkozy’s victory, the left performed far better than expected, gaining seats and with the UMP sustaining unexpected losses; in 2002, the UMP won a landslide in seats and that had not been predicted in the pre-election polling; in 1988, following Mitterrand’s triumphal reelection, the PS fell short of an outright majority, leaving it dependent on the goodwill of the Communist party (a Socialist adversary at the time); in 1981, the Socialist landslide that followed Mitterrand’s victory was larger than anyone could have expected (the PS won 37% of the vote in the first round, up from 22% in the 1978 legislative election). So if history is a guide, perhaps there will be a surprise tomorrow. 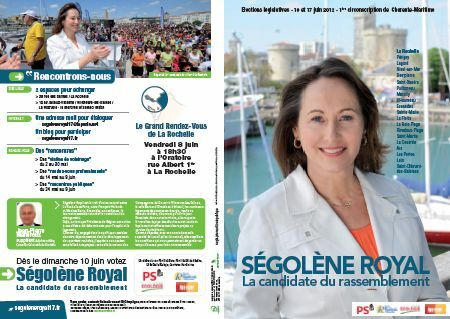 The race that will be watched the most closely is, of course, Ségolène Royal vs. Olivier Falorni in the Charente-Maritime 1st constituency, which Ségo looked set to lose but where Trierweilergate may have shaken things up. The post tweet polls have given Valérie Trierweiler the thumbs way down for what she did and my own (statistically unrepresentative) personal poll is upholding this: I have personally heard nothing but severe criticism of VT, and particularly from women. So maybe this will translate into a sympathy vote for Mme Royal by the Rochelais (and particularly Rochelaise voters, left and UMP alike). On verra. As for an eventual impact of the affair nationally, I can’t see it. No movement away from the Socialists has turned up in the final polls and there is no a priori reason why voters in, say, the Meurthe-et-Moselle or Indre-et-Loire should flip their votes or stay home on account of VT’s tweet. It makes no sense. The comments threads on Arthur Goldhammer’s French Politics blog have been inundated on this issue over the past few days, with the general consensus among the commenters—some of whom are very well-informed on French party politics—that this is a “huge” affair, indeed a game changer for Hollande’s presidency. On va un peu vite en besogne, je crois. This affair will only have legs if VT continues to tweet, insists on maintaining her journalistic career, and otherwise behaves in a manner that most Frenchmen and women—and on both sides of the political spectrum—deem to be incompatible with her status as première dame (which she is, whether she likes it or not). If any of this happens, then it will definitely create problems for Hollande, mais on n’en est pas là. Other races that will be watched: the eight candidates on Marine Le Pen’s enemies list, whom she wants to scuttle, notably Nathalie Kosciusko-Morizet, Jack Lang, and Xavier Bertrand. In some of these races, Marine is, in effect, calling on FN voters to vote PS against the UMP. We’ll see how much influence MLP has with her electorate, if FN voters will follow the party’s consignes. It would be too bad if NKM were defeated and on account of MLP, as she—and more than just about anyone in the UMP leadership (maybe Alain Juppé excepted)—has taken an uncompromising position against the FN. As for Lang, the eternal parachuté, I wouldn’t mind a whit if he were sent packing by the électeurs in the Vosges 2nd. His search for a safe constituency in which to parachute himself—after declining to submit his candidacy for reelection to a vote of the Socialist militants in the Pas-de-Calais 6th (Boulogne-sur-Mer), where he had been deputy for ten years (and where he parachuted himself after being repudiated by the voters in Blois)—was just a little unseemly. Time to retire, Monsieur Lang. The FN races themselves will also be closely watched, notably Marine LP in the Pas-de-Calais 11th, Gilbert Collard in the Gard 2nd—where he has a good chance of winning—, and the 21 year-old Marion Maréchal-Le Pen—petite fille of Jean-Marie and nièce of Marine—in the Vaucluse 3rd (who also has a good chance). François Bayrou looks to be toast in the Pyrénées-Atlantiques 2nd. That’s too bad. The fate of UMP ex-ministers Nadine Morano and Claude Guéant will be awaited—and oh how lovely it would be if the latter were to bite the dust—, as will that of current ministers who looked to be in tough races (Aurélie Filippetti, Stéphane Le Foll et al) but are en ballotage favorable—Marie-Arlette Carlotti, who’s in a tight race in the Bouches-du-Rhône 5th (Marseille), being the one exception here. RDV demain soir. FWIW, as Europe teeters at the edge of the precipice and the Egyptian transition is thrown into chaos, IFOP-Paris Match has a new poll out of the popularity of the top 50 political personalities in France (several of whom, as ministers in the new government, appear in the ranking for the first time). One notes from the table below that almost all the politicians who were in April’s ranking have improved their standing (with the notable exceptions of François Bayrou and Jean-Luc Mélenchon; the former taking a hit within his own camp for his endorsement of Hollande, the latter no doubt for his escapade in Hénin-Beaumont). But the rank order as presented here is misleading and on at least two accounts. First, the low percentage of good opinions of most in the bottom third does not in fact signify unpopularity but rather lack of notoriety—four of them I had never heard of myself before their appointment to the government—, as the negative opinions of them are far lower than the positive (for the poll’s details go here). The highest number by far for most of these is “don’t know” (ne la connaît pas suffisamment). The second problem with the ranking is at the top. It is normal that François Hollande, who took office three weeks ago, would have strong positives. But Bertrand Delanoë as no. 1 and Jack Lang in third? 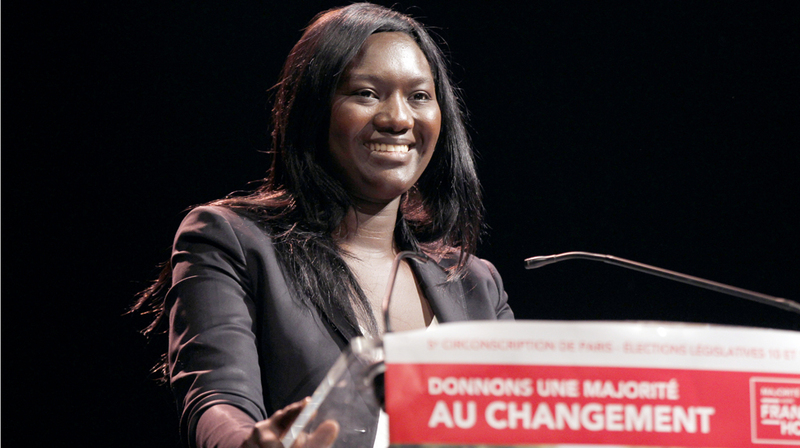 I’m sorry but it is simply not possible that Delanoë—who is not well-known outside the Ile-de-France—is the most popular political personality in this country. And Lang, who is no longer a major figure in the PS and hasn’t done anything noteworthy in years, cannot be the third. As most French polling institutes break down the numbers by intensity of feeling, what we see here with these two is that upwards of 90% of those in their plus columns have a merely “good” (bonne) opinion of them rather than an “excellent” (excellente) one. In effect, this means that a sizeable number of respondents, when asked for their opinion on Delanoë, Lang, etc, say something on the order of “hmm, yeah, he’s okay”… The pollster thus checks “good” and moves on to the next. So the positives of these two personalities, as of others, do not mean much in and of themselves. As stated above, Hollande’s high number here is normal, at least at this early stage (we’ll see where it’s at this fall, after bad economic news has been announced, electoral promises have been reneged on, etc). Sarkozy’s number is his highest since 2007, indicating a reservoir of good will toward him on the right (and where his hard-right campaign rhetoric paid dividends). Fillon’s will impress those in the UMP that he is Sarko’s logical successor as chef de file of the right. Christine Lagarde’s popularity would make her a strong candidate for prime minister if the right were in power (and she were available). As for Delanoë’s, this has to come mainly from Paris and environs—where is he very popular—plus gays of all political stripes across the Hexagon. No surprise here for the Le Pens or Mélenchon. Or for Sarkozy, whose strong negatives have not dropped below the mid-20s since his days at the Place Beauvau. Copé’s number confirms him to be a Sarko bis for the left, but also beyond. The UMP will be taking a big risk if it anoints him leader over Fillon. The antipathy toward Guéant is, of course, richly deserved. Mme Royal has had high strong negatives since the 2007 campaign (and partly explains her current problems in La Rochelle). Martine Aubry came to be strongly disliked on the right during her time as minister of social affairs in the Jospin government and the RTT law that carries her name. Laurent Fabius has never been able to overcome the hit in public opinion he sustained over his implication in the sang contaminé affair. The bad numbers for Pécresse—who is in fact tied for 10th place with Nathalie Kosciusko-Morizet—likely come disproportionately from the educational establishment, where there was strong resistance to her reforms. As for NKM, her strong unpopularity most certainly comes mainly from within the right, and particularly the hard/extreme-right. There are six other personalities with “very bad” opinions of 10% or over. Which all goes to show that French voters like to hate their politicians more than they love them. The French are not alone on this, that’s for sure. In case anyone didn’t see it, the New York Times had a lengthy piece a couple of days ago on the election campaign in the French community in NYC, which has the largest concentration of voters in the new USA-Canada constituency for French citizens abroad. In creating the eleven new constituencies for les Français à l’étranger—and which were subtracted from the number in metropolitan France—, the previous government was certainly counting on them being easy wins for the UMP, as French abroad tend to lean right, and particularly in the US. But lo and behold, the first round results were favorable to the Socialists across the board and who are well-positioned to win most of them in round two (for the results, see the post on Victoria Ferauge’s blog). I was particularly pleased to see the UMP’s USA-Canada candidate, Frédéric Lefebvre—the UMP’s attack dog spokesman in the 2007-10 period—, come in a distant second. 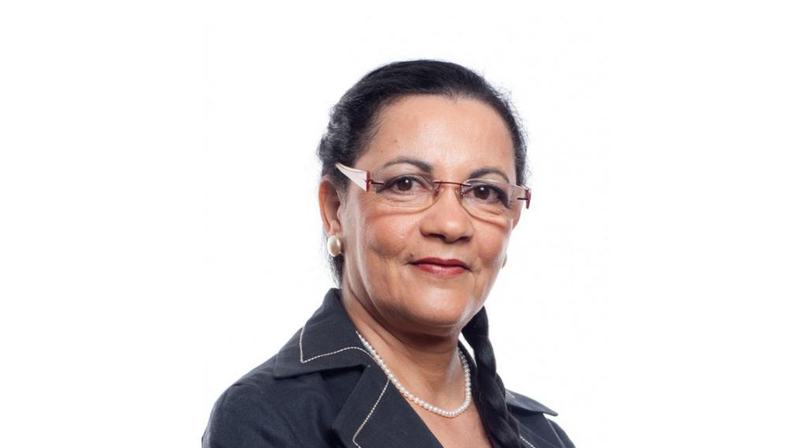 The PS-EELV candidate there, Corinne Narassiguin—who hails from Réunion—, looks pretty good. She’s holding an online debate tonight (from a bar on the Lower East Side), which should be of interest to French voters outre-Atlantique. Ségolène Royal: candidate à la soviétique ? I reported last night that Ségolène Royal is in a tight run-off in the Charente-Maritime 1st constituency (La Rochelle), where she leads the second place candidate, Olivier Falorni, by a mere three points (32-29). It’s apparently more than tight, as there is a real possibly that she will lose next Sunday to Falorni. 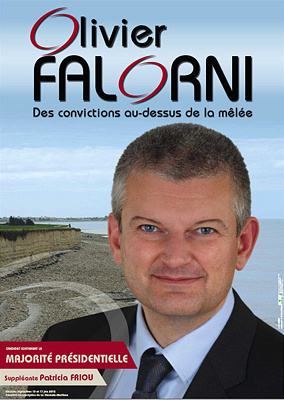 But here’s the thing: Falorni is also a Socialist, or at least he was, until his expulsion from the party for running against Ségo. As it happens, there were two local Socialist women who were in the running last year for the party’s candidacy in the Charente-Martime 1st, Falorni—who was head of the PS departmental federation—being the suppléant (alternate) of one. But as Mme Royal—the president of the Poitou-Charentes regional council—decided she wanted to return to the national assembly—and become its president no less—the Rue de Solférino decided to hand her the safe Charente-Maritime 1st on a silver platter and without a vote of the local PS membership. In effect, Mme Royal was parachuted into La Rochelle by the national PS, muscling aside the local candidates in the process. The Rochelais Socialists were furious at the peremptory decision handed down on high from Paris—they were really beside themselves (see here)—but the declared local candidates dutifully acquiesced.